This post started out of curiosity to compare two styles of shoes. Then it turned into a full fledged post, because if I'm curious, you guys probably are too. This post was originally published in November last year, but I thought it would be more relevant now, so we are re-posting with some updates! First, I have to say I love my Hermes shoes. I find them secondhand on eBay or similar sites so I never have paid full price for them. However, I think they are worth the price. Not the full price tag, but they are definitely made up of strong materials that are meant to last. 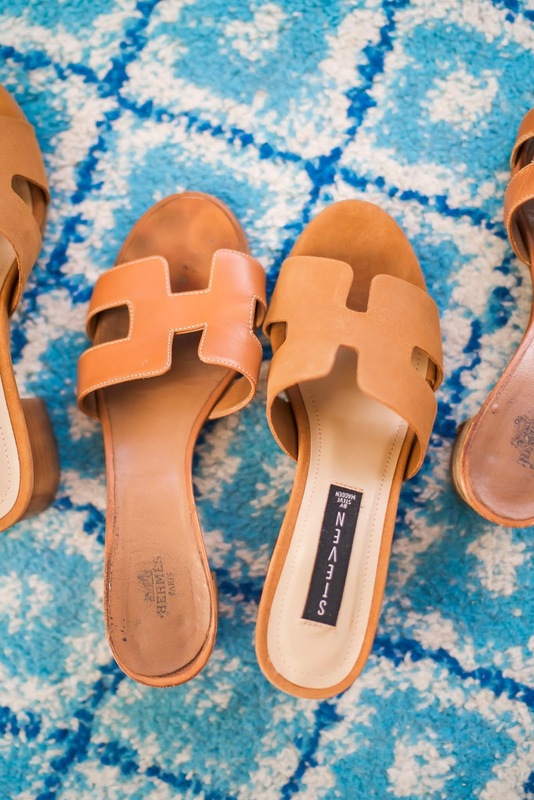 My Hermes Oasis slides (the brown heels) are on my feet from May until September. I love them. I wear them out, to weddings, and around the city. They are part of my heavy rotation of summer shoes. They give you a heel without the hurt and they are really cute on your feet! 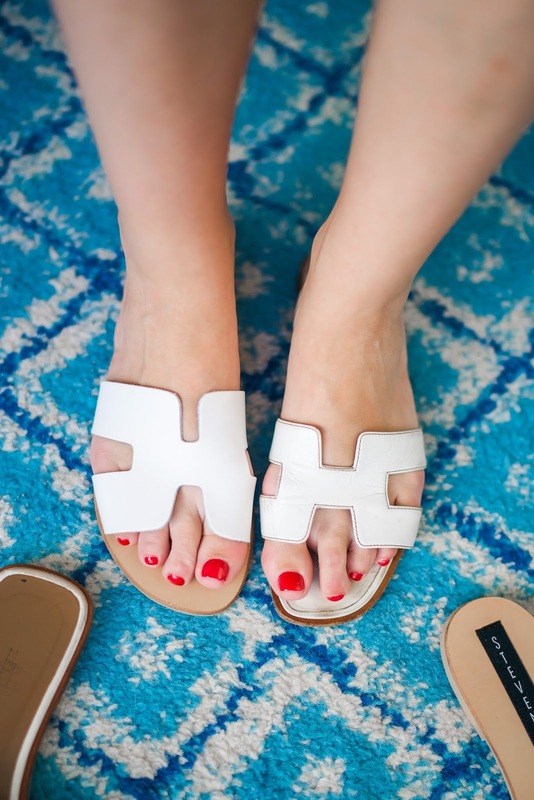 They were my first pair of Hermes slides and what started my obsession. 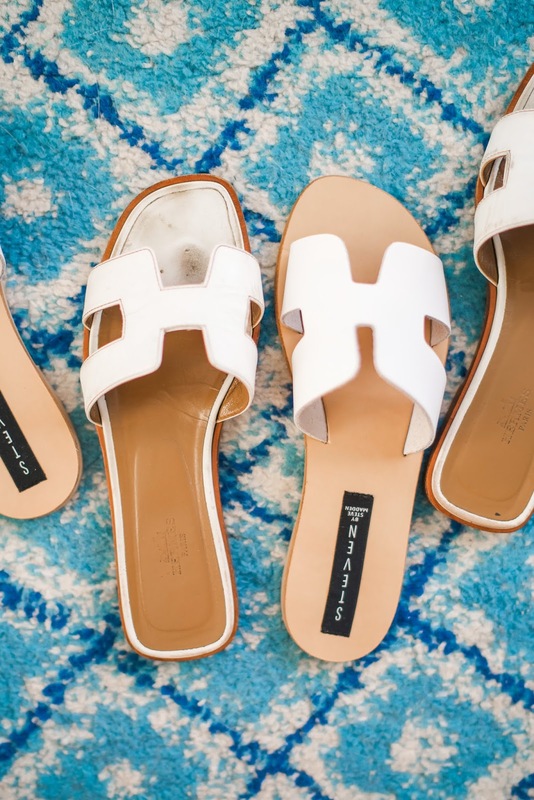 Once those came along, I wanted the flats (more so for beach activities/scenarios) and found a pair in white that I loved. They are more casual, but again perfect for summer. I wore them all the time. 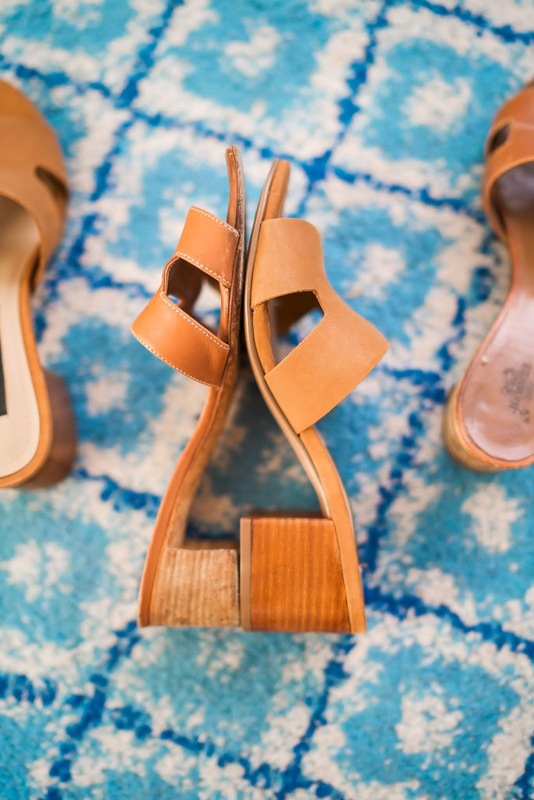 Whenever I went to Nantucket this year, I would bring two pairs of shoes: my white flats and my brown heels. They are all you need. I totally understand that the price tag is absurd for a lot of people. That's why I loved that Steven came out with these (pretty good) look-a-likes for a really nice price. So I wanted to do a true comparison of both styles for anyone also interested in how they look side-by-side. There are obvious differences, but if you wanted a similar look for a lot less, these are a good option. Personally, I really didn't like the white pair because they looked too clunky. 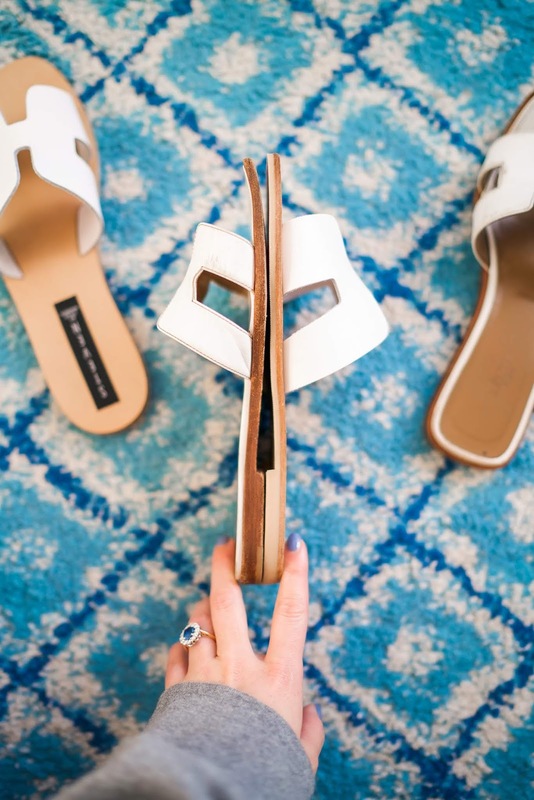 The brown were much cuter, but I understand that flats are easier and more appealing to wear! Overall: The Steven styles have wider straps resulting in a larger "H" and are more minimal in terms of the bed of the shoe. The heels were the major difference IMO. I couldn't believe how much taller the Foreva heels were! Sizing: Steven is TTS (I'm wearing an 8 in both styles) but Hermes runs a size small. I'm normally an 8 and I'm wearing a 39 in both styles. Also, honorable mention for the Steven Eryk wedges. These are the cutest style! Is it bad I like the Steven ones more? I think they look cuter and more sophisticated but I definitely think the Hermes ones could be more comfortable.